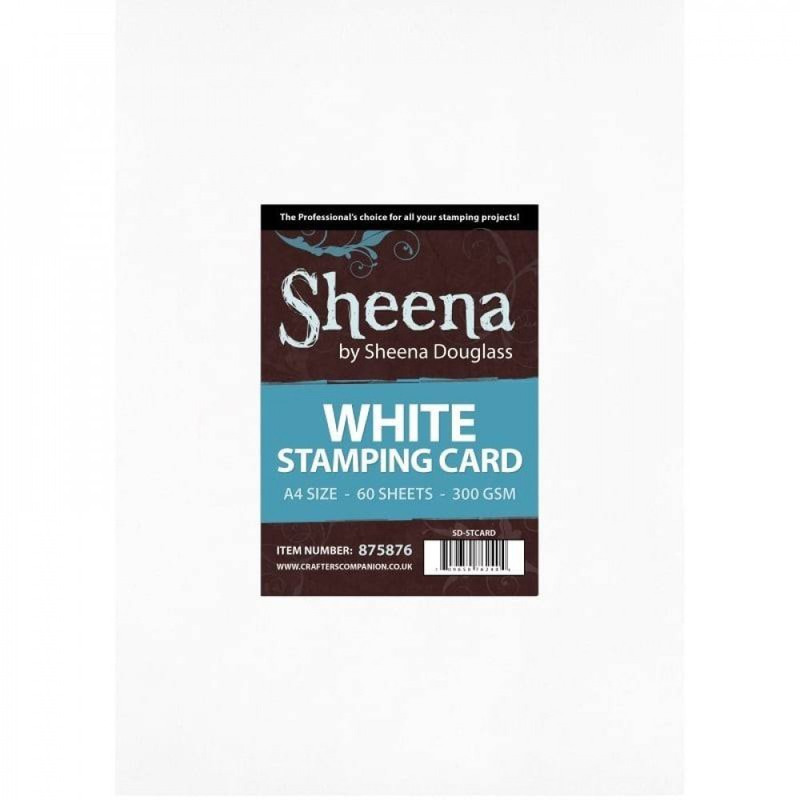 Sheena's White Stamping Card is a high quality 300gsm cardstock that is perfect for beginner and expert stampers alike, allowing you to achieve high quality results which are perfect for card making, scrapbooking and all sorts of other crafty projects. Each pack contains 60 sheets of 300gsm card. Top Tip: Sheena's White Stamping Card is printable and also makes a great base card!